60s. Name a Bournemouth player from this decade who won a cap at Under 23 level for England while still at the club. 70s. Born in a place people of a certain age will associate with the High Roads and a team mate of Steve Perryman and Graeme Souness in a Youth Cup winning side, this midfielder moved across the river to get a taste of regular first team football. After a summer of roguish behaviour, he next turned up at Bournemouth towards the end of this decade, only for a pelvic injury to end his career at the age of just twenty eight. Going into coaching after that, he was named as manager of some stripey Londoners and gained a promotion for them in his three years in the job. He never got to be a manager again, but he was an assistant at a couple more league clubs before leaving football to work in what Wikipedia calls the flower business – who am I describing? 80s. The man on the right of this picture has had a play written about a moment thirty four years ago from his life by the man alongside him. That moment led to him being a nomination for his first club’s most hated player ever and it was while he was with them that he played for City during a loan spell against Bournemouth during this decade, but can you name him? 90s. 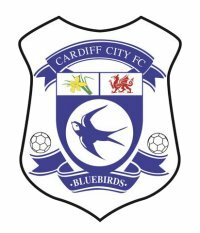 Can you identify this City player from this decade who was in a team beaten by Bournemouth at Dean Court from this list of some of his former clubs – Cardiff City, Pontypridd Town, Bath City, Stalybridge Celtic and East Stirling. 00s. Name this member of a City squad beaten by Bournemouth during this decade. 10s. Another player, this time from a City squad that faced Bournemouth during this decade, to identify. for England in 1968 when he was twenty two. 80s. Journalist Jeff Brown (the man on the left of the picture) wrote a play called Cornered about the man on the right, David Corner after his error led to the only goal of the game in the 1985 League Cup Final between Norwich and Sunderland. At 18, Corner was the youngest player to ever appear in a Cup final for Sunderland, but thi hasn’t prevented him being vilified by club supporters for that mistake. Five months after his mistake at Wembley, Corner was in a City team beaten 1-0 at home by Bournemouth while on loan to is during the awful 1985/86 campaign. dreadful 3-0 home League Cup loss to Bournemouth in 2014.